375 Winchester ammunition is a modernized variant of a very popular black powder round. The 375 Winchester was introduced in 1978 as an update to the classic and powerful 38 - 55 Winchester. The 375 Winchester utilizes a heavy 9.5 mm projectile, often weighing in excess of 200 grain. Haven’t been able to get this ammo in a long time. Great service and fast delivery. 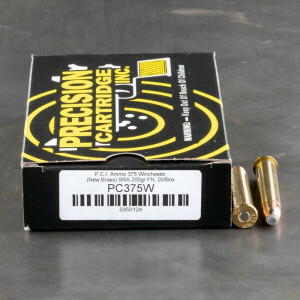 Fast service and fair price on hard to find cartridges!